Few days ago, a developer from xda forums announced the release of latest Android v4.1.1 based Cyanogenmod 10 custom rom for galaxy mini and I covered that news at this blog post. 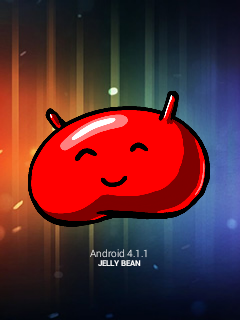 You can find details about latest Jelly Bean android software as well as the released beta 1 at the article. Yesterday, again the developer released another update to this CM10 custom rom. With this update, few bugs that were found in previous version are fixed as well as a new kernel is introduced which should improve the performance of your handset. Below is a short change-log from the developers thread regarding Cyanogenmod 10 Beta 2 rom. So, as you can see that deep sleeping is now working and this is the best news for your battery. More battery life and more fun with the new update. Plus, latest CM source has been synced and now theme support is also available. All these changes and other improvements undoubtedly give you better taste of Jelly Bean. So, if you haven't already tried out the latest android operating system yet on your galaxy mini or pop s5570 smartphone, then it's the right time. Download the rom from below and follow the flashing instructions given afterwards to get latest CM10 beta 2 on your galaxy mini. Note : Those who have Gingerbread (Android 2.3 and above) can skip Step 1. Moreover, if you have any Custom Recovery and/or Custom Rom installed on your device then you can skip both Step 1 and Step 2. Install Clock Work Mod Recovery for Samsung Galaxy Mini/Pop. Reboot your device to Custom Recovery (Press Home + Power Button). [Optional but, Recommended] Do a Nandroid Backup of your current rom. Now select cm-10-20120729-UNOFFICIAL-tass-beta-2.zip downloaded in step 3. Flash Latest Google Apps for Jelly Bean in CWM recovery. Now select the gapps-jb-20120726-signed.zip file which you downloaded in step 3. Confirm the installation and wait till the zip is installed on you handset. Reboot your device from your recovery main menu. That's all with it. You've successfully upgraded or installed latest android operating system on your Samsung Galaxy Mini or Pop S5570 smartphone. If you like the rom or want to find out more about it then, you may visit the developers thread and thank him for his contribution. Moreover, if you have any doubts or issues while flashing the firmware than do leave a comment at The Wall below.